A bill that requires California to achieve 100 percent renewable or zero-carbon energy by 2045 was signed by Gov. Jerry Brown in Sacramento on Sept. 10. The new law makes California the second state in America after Hawaii to legislate the abandonment of fossil fuels. 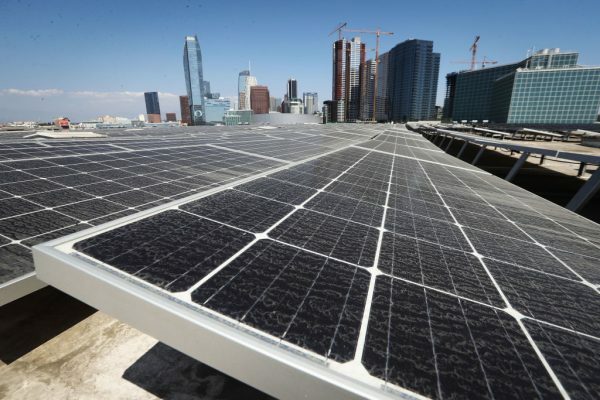 The Golden State was previously aiming at a target of 50 percent electricity coming from zero-carbon or ‘clean’ energy sources like wind, solar, and geothermal by the end of 2030, according to the outgoing California Renewable Portfolio Standard (RPS). The newly signed bill, SB 100, serves to increase this mandatory goal to 60 percent by 2030 and plans to make up the remaining 40 percent through other zero-carbon emission sources including hydroelectric and nuclear power by 2045. According to statistics from the California Energy Commission, natural gas is still supports most of the in-state electricity generation but this decreased from 59.9 percent in 2015 to 43.4 percent in 2017. Meanwhile, electricity produced from renewable sources has grown from 24.5 percent in 2015 to 29.65 percent in 2017. Large-scale hydroelectric infrastructures and nuclear plants also increased their share from 15.3 percent in 2015 to 26.58 percent in 2017. To accomplish the ‘100 percent clean energy’ goal, California power suppliers would need to totally avoid natural gas and replace it with nuclear or renewable energy. Among the five major renewable energy sources, nearly 1/3 is from solar, which is also the only type that has increased over the past few years. From around 13,000 gigawatt hours in 2015 to nearly 22,000 gigawatt hours, solar-generated electricity grew by 67 percent over the last two years. But for now, natural gas plants are still the major power source that—unlike solar and wind power that can only supply power during the day or when wind is blowing—can meet the demand during the late afternoon and early evening when people turn on the AC after getting home. 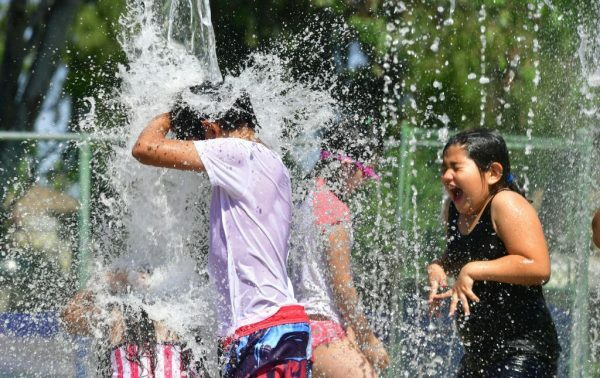 Research predicts the average annual maximum daily temperature in California will increase 5 to 8 degree by 2100, which is likely to result in more time for the AC to be humming and higher demand for electricity. Supporters of the bill argue that the policy will encourage investment in the power industry to be put into renewables and nuclear energy and drive the development of more advanced technology that is needed for zero-carbon power to be available safely, on demand, and at a price that is affordable. Affordability is one of the concerns regarding the new law that other lawmakers had raised, saying that the fundamental shift being forced on the power industry will continue to drive up costs for customers. Some Democrats voted against the policy, reported the LA Times, with Assemblyman Adam Gray of Merced saying that ‘Yes’ voters based their policy decision on its appeal to progressives rather than poor residents in rural communities who will be needing to pay more for their power bills as a result of the legislation. “This is yet another in a laundry list of bills that are discriminatory to the people I represent,” Gray said. According to Marc Hanish, an EIA expert on state electricity profiles, California “has some of the highest rates, but they also have some of the lowest consumption per customer, so they have lower bills than most states,” reported Politifact. Members also criticized how the state has privileged wind and solar power over other forms of generation.